Unlike the show cars I showed you recently, the cars at ESTA Safety Park Dragstrip near Cicero, New York, want to go as fast as they can in a 1/4 mile and beat their opponent in doing so. That is the fast part. The furious comes from all the activity that happens on the cars in preparation to race. As a fan of most kinds of motor sports, I have enjoyed visiting ESTA over the years as a spectator and now as a photographer. This is also where I practice my panning technique and sports photography a few times a year. 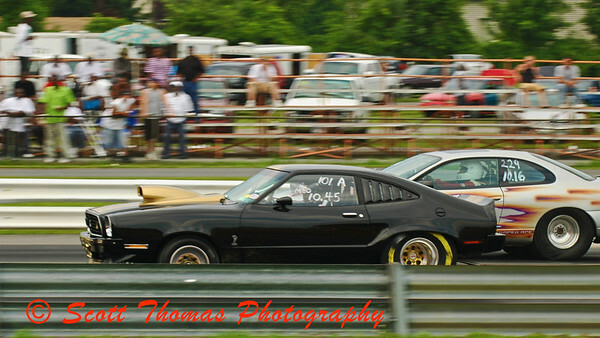 Street Class cars in a close race at ESTA Safety Park Dragstrip. I was disappointed in the number of Street Class cars at ESTA. These are racers who use there cars as their primary vehicle during the week and bring them to the track on the weekends to compete. Many spend thousands of dollars to get their cars to go faster than the manufacturers built them to go. Why was I disappointed? Because I see cars like these all over my area. I know many “race” on the streets where it is against the law and dangerous not only to themselves but others on the road. For a fraction of the money they put in their cars, they could come to ESTA and run their cars in a safe environment without fear of having their license revoked when they are caught street racing or worse, if they are in an accident. Okay, off my soapbox and back to the racing. Pro Stock Class cars flying down the 1/4 mile at ESTA Safety Park Dragstrip. Other classes, like the dragsters in the first photo, are dedicated race cars. The drivers and crew of these cars spend days to prepare for a few runs every week, championship points and cash prizes. At this level, no one wins enough money to make a living. It’s more about the passion, competition and fun of the sport. 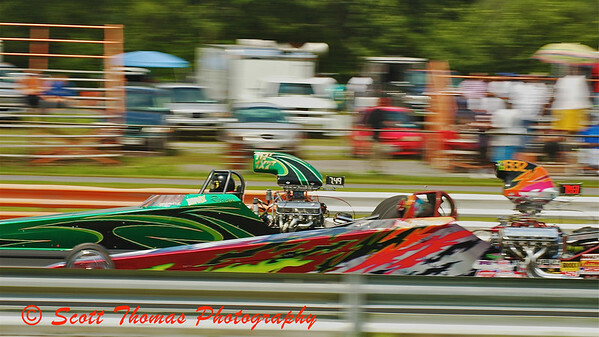 This entry was posted in Sports, Weekly View and tagged cars, cicero, dragsters, dragstrip, esta safety park, new york, panning, Photography, race, racing. Bookmark the permalink. 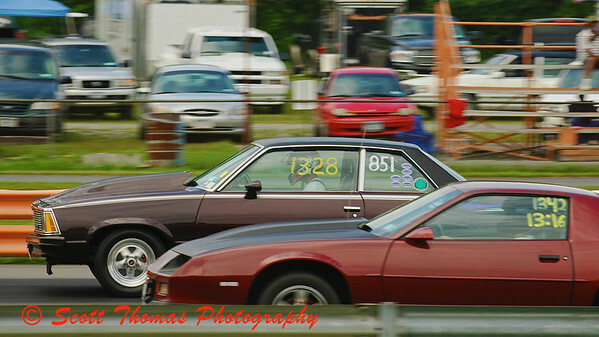 I’ve never seen the point of drag racing, until now, its provided you with the subjects for some great photos. I particularly like the first shot – the background blur makes it perfect. Some really awesome panning shots…very cool action. Wow! Everything about that first photo, and the others too, says speed! Your panning really panned out.